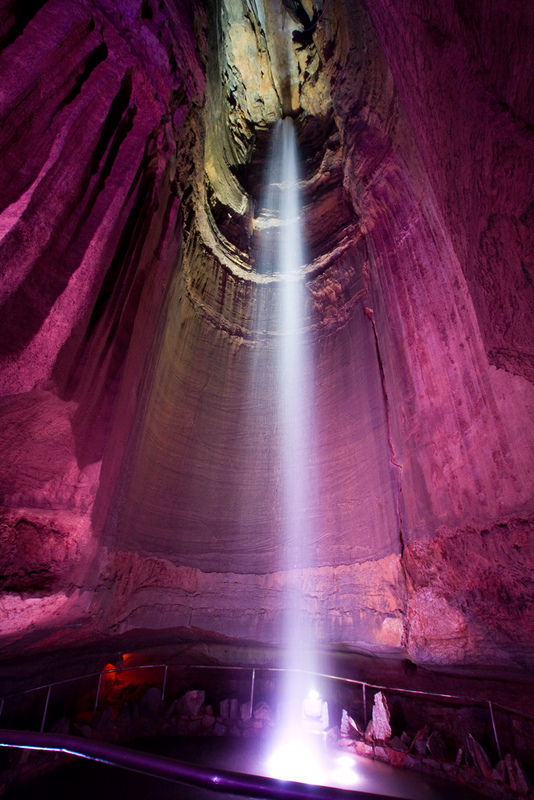 Ruby Falls is a topic of high conversation between Tennessee and Georgia. 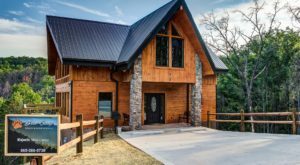 It’s located solidly on the state line, but claims to be “near Chattanooga” – whether you’re from the state of peaches or Jack Daniel’s, we’re going to call it a solid trade. 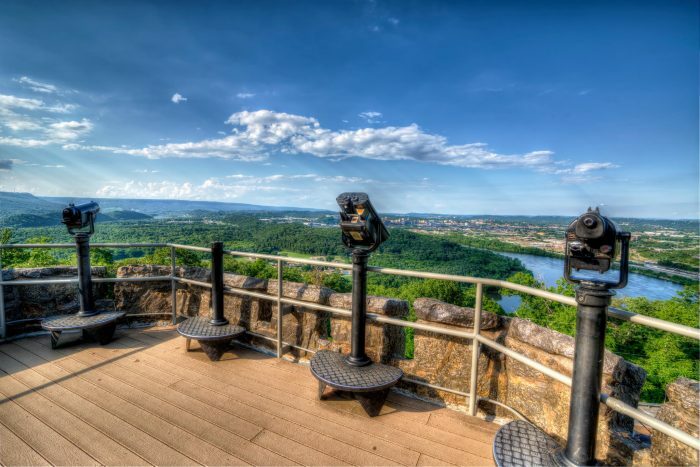 It’s been a tourist magnet for years, but you may not know the shocking history behind Ruby Falls, and what sets it apart even today. 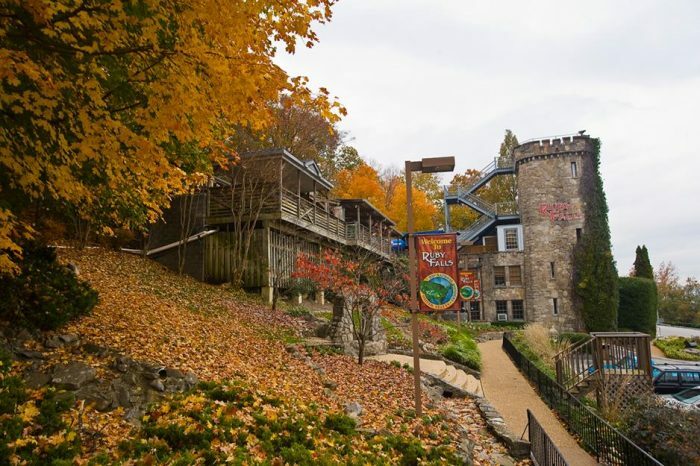 Here you can see the entrance to Ruby Falls, and its known as Cavern Castle. 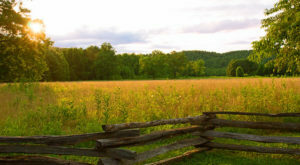 It was once used as a dinner and dance hall for the community. Ruby Falls was actually discovered in 1928 by a man named Leo Lambert, a chemist who was looking for a new path to the Lookout Mountain cave. He had a bit of an obsession with caves, and he named the thoroughly stunning underground waterfall after his wife - you guessed it. Ruby. 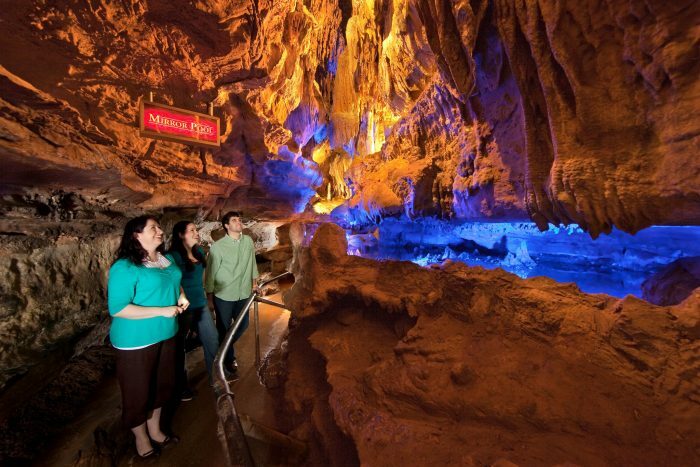 The cave leading up to Ruby Falls is made from limestone, eroded by underground waterways. The falls are accessed by an elevator, with the underground stream flowing 1,120 feet underground. 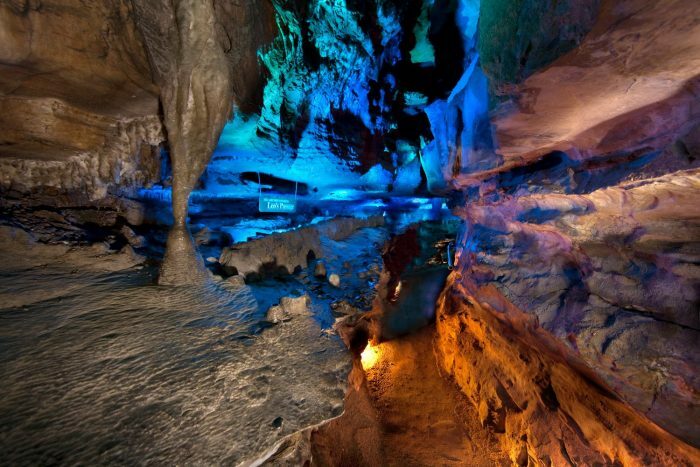 The cave was first opened to the public in 1930, becoming one of the first caves to feature the electric light. For tourism purposes, of course. 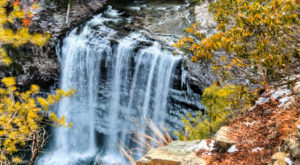 The actual waterfall falls from a height of 145 feet. 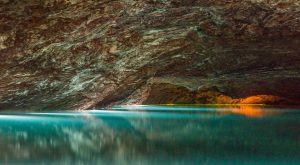 It's the largest underground waterfall that's accessible to the public, and many consider it to be one of the most beautiful in the world. 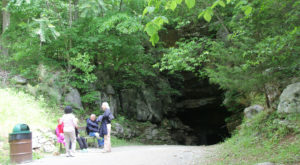 You can take a tour through the caves for an entrance fee, and it's one of the best experiences in south Tennessee. The tours given in the 1930s took up to FOUR hours, but nowadays it'll set you back about an hour and 15 minutes. 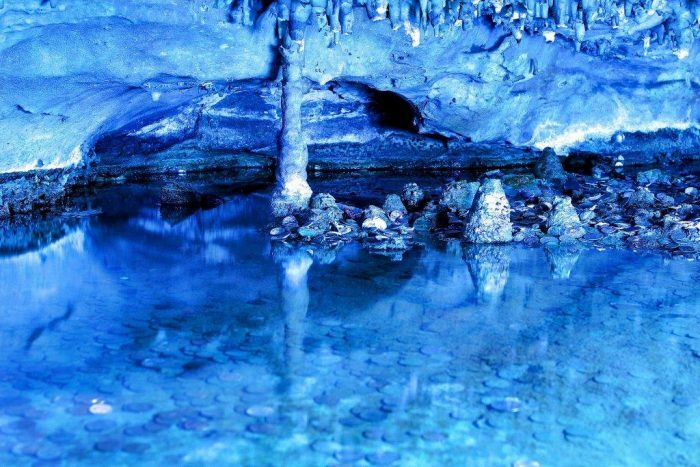 As you wander through the caves, take note of the rock formations. During the Great Depression, kids would break off the onyx and sell it to support their families. 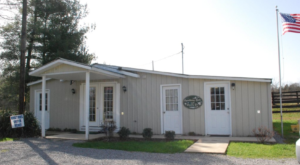 Have you visited for yourself? On the tour you'll learn all sorts of neat facts, like the reason fish can't live in the water (high mineral content) and how the tunnels were used during prohibition (bootlegging, of course!) 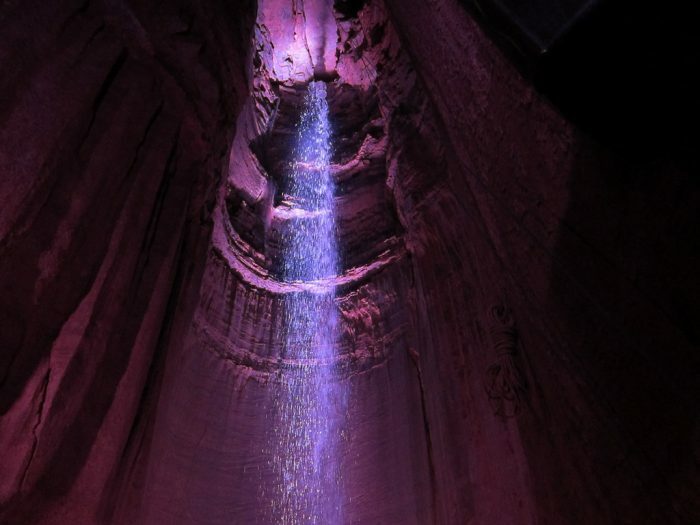 This isn't just an underground waterfall - it's an experience in Tennessee history. 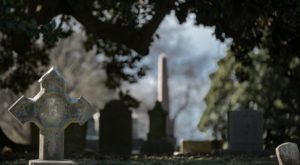 Wow – will you visit?